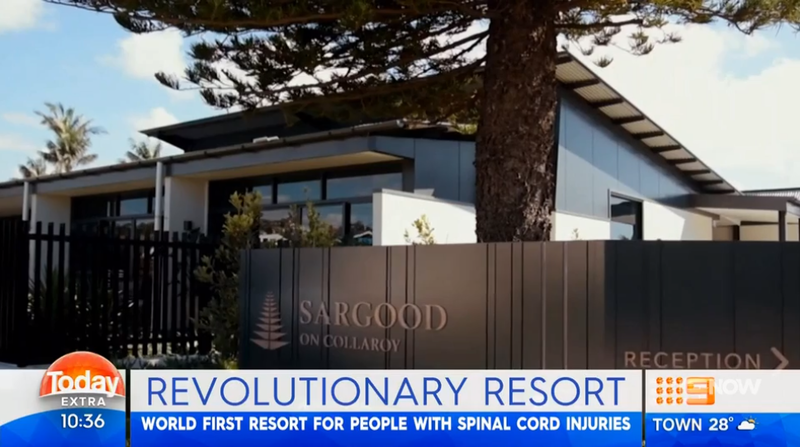 Channel 9’s Today Extra shows viewers how Sargood has kept wheelchair accessibility at the forefront of every decision. Showcasing facility features such as assisstive technology and adaptive equipment, this segment shows how Sargood takes the stress out of travel for those with SCI. With a large range of recreation activities and specially trained support staff onsite, we have everything needed to create the perfect stay. Follow our guests through their own experiences at Sargood, and see first hand how our groundbreaking resort has impacted on their lives. You can watch the full segment here. Previous Post"When accommodation is made accessible, it feels like home"